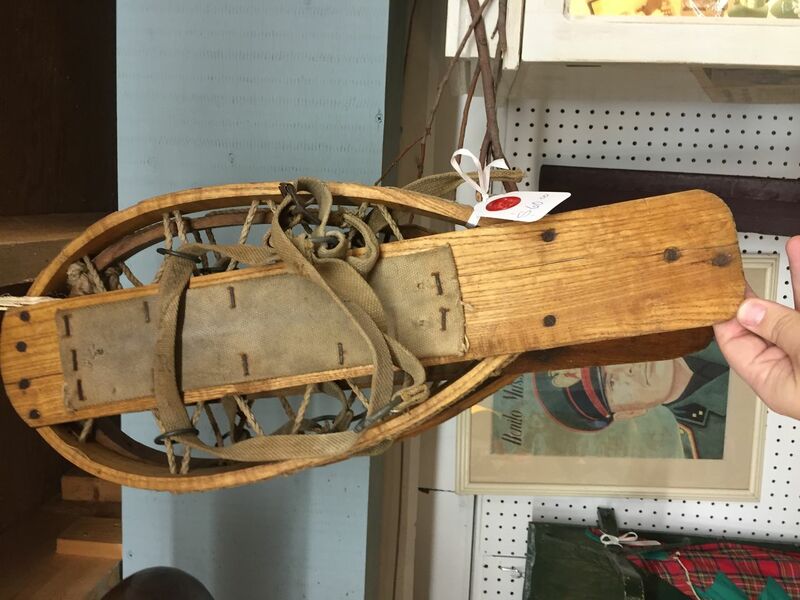 Snowshoes-Anyone seen this style before? Came across these awhile ago and forgot to post the pics. 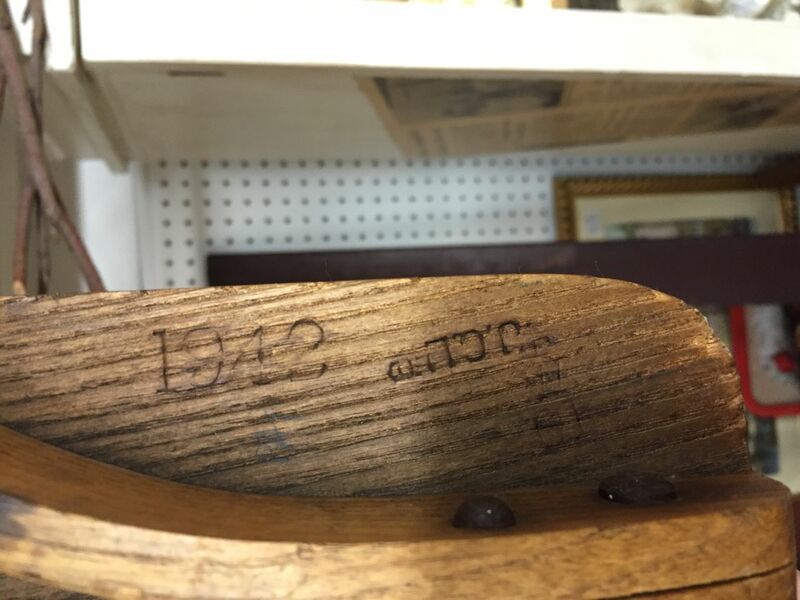 In an antiques store nearby. I was drawn by the webbing. 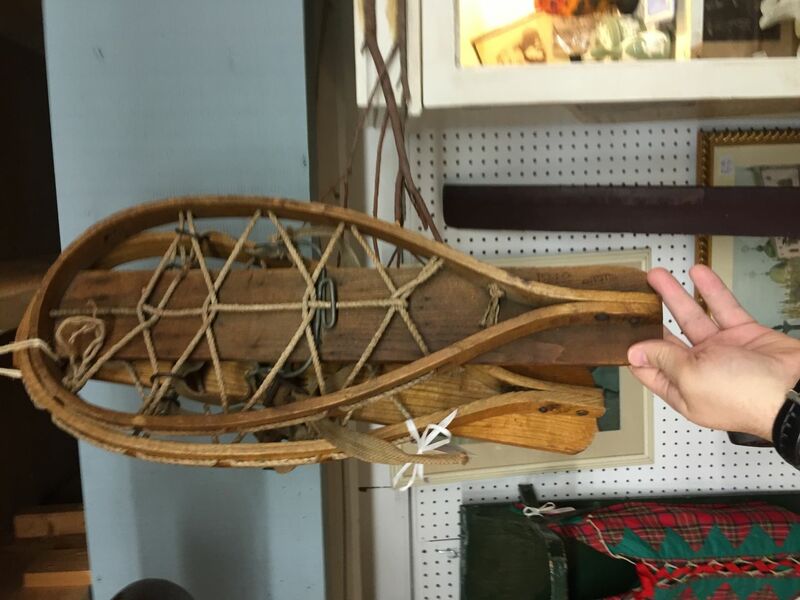 At first I thought they were homemade snow shoes using old webbing. But I found markings on the wood. 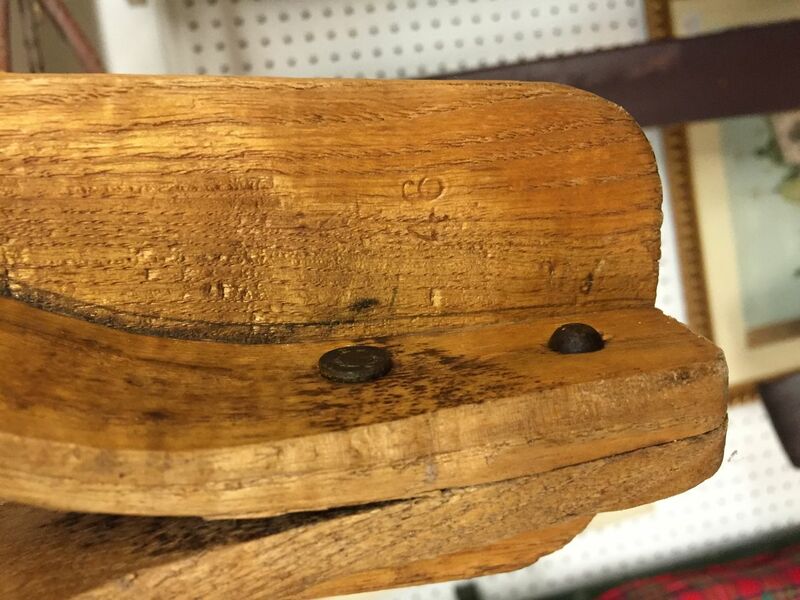 Makers marks and dates. The one has the British broadarrow. Obviously if they are issue they are a mismatched pair. Question is, are these an issue pattern or were the homemade using surplus wood and surplus webbing? 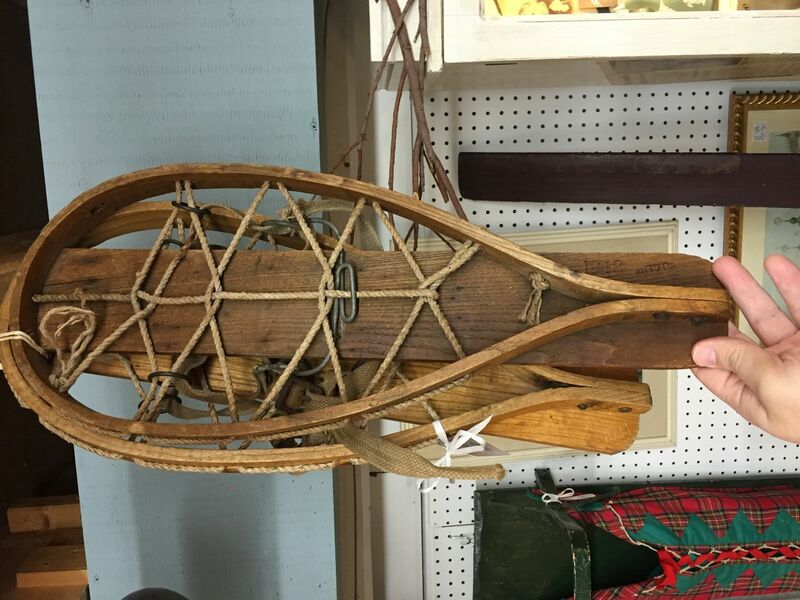 Re: Snowshoes-Anyone seen this style before? 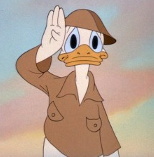 I have a pair from ww 2 that are a different shape but have the rope webbing. They are emergency snowshoe carried in aircraft. Nice snowshows Jeff! 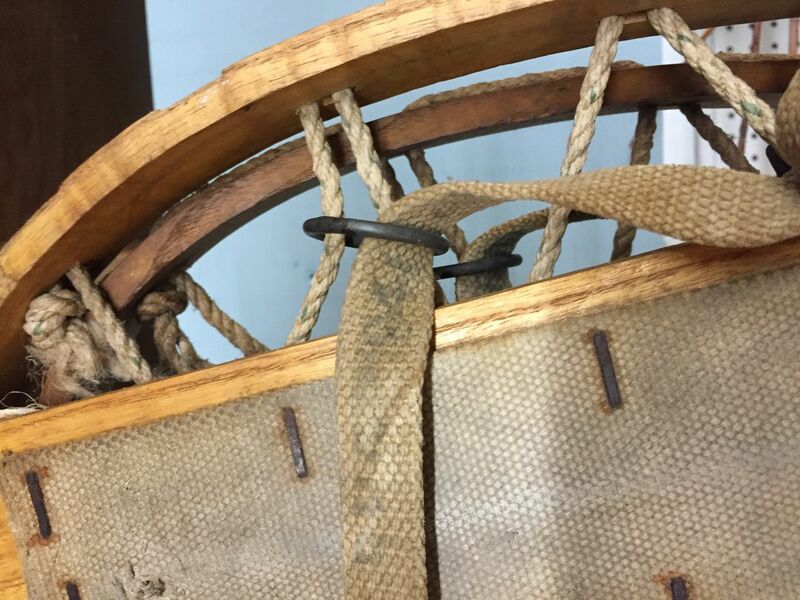 The webbing straps look like they were made by BHG Ltd (Barrow, Hepburn & Gale, Limited) in 1941.